He was there at the birth of the personal computer. He has had his second coming. He has healed one very sick company. And along the way, he has changed the way we think about music and movies, telephones and computers. Okay, so it’s not exactly “The Greatest Story Ever Told,” but it’s still a script with surprising zigs, inspiring zags and plenty of satisfying pay-offs. To call what Apple co-founder Steven Paul Jobs hath wrought a religion, of course, is easy. There are the adoring masses. There are the rituals of new product introductions. There are the signs and symbols: The famous Wired cover bearing an Apple logo enmeshed in thorns above the exhortation “Pray” comes to mind. And there is Jobs himself: the billionaire in a black mock turtleneck, the miracle worker in New Balance running shoes. After all, Jobs launched the personal computer industry as we know it with the Macintosh. He returned to Apple to lead a thunderous revival. He remade movies at Pixar. He led the creation of the iPod and the iPhone. “He’ll certainly be in the history books, and I would not be surprised if he is featured more prominently than Bill Gates,” says Charlie Wolf, an analyst with Needham & Company who, like McNamee, has followed Jobs’ career from the start. After all, it was Jobs, not Gates, who made the computer personal–first, with the original Apple, he built with Steve Wozniak, and later with the Macintosh, which popularized the graphical user interface Gates would later rebuildMicrosoft around. 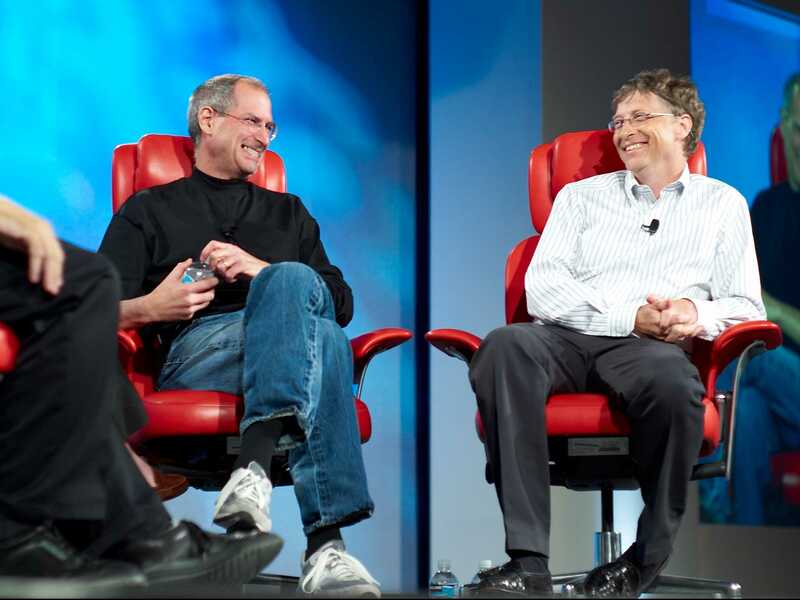 And unlike Gates, Jobs has remade not just computers, but movies, music and the telephone. It’s a comparison that fits Jobs as snugly as his signature shoes, putting his accomplishments in a very American context. After all, Jobs didn’t invent the things that define the digital age any more than Edison invented electric light. Does Amazon need an Alexa smartphone to continue dominating the voice-first economy?